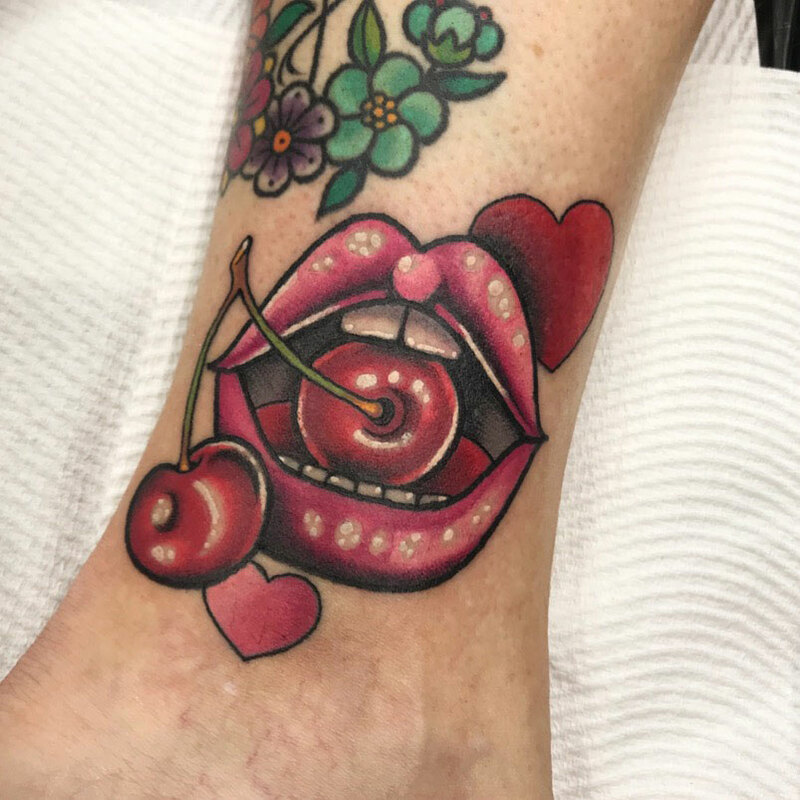 Having started her career in 2012 in an Adelaide street shop, Sarah moved on to hone her style working in a private studio. 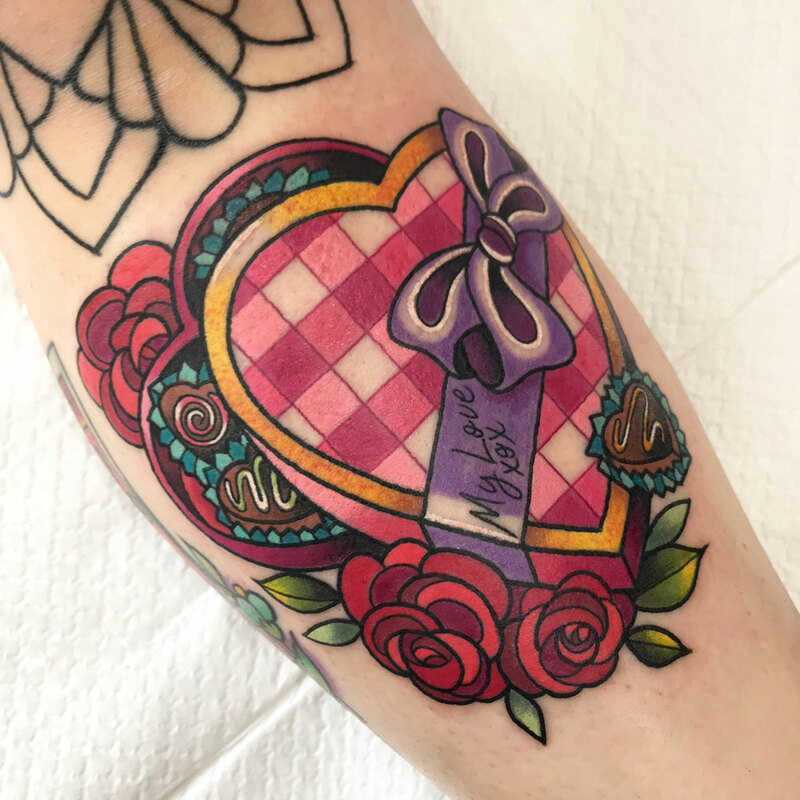 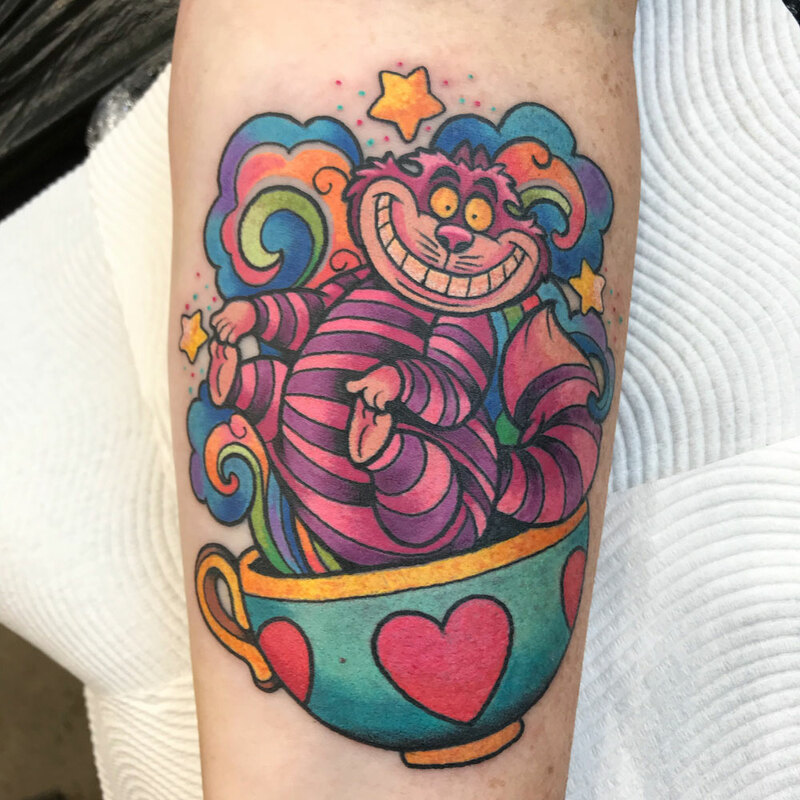 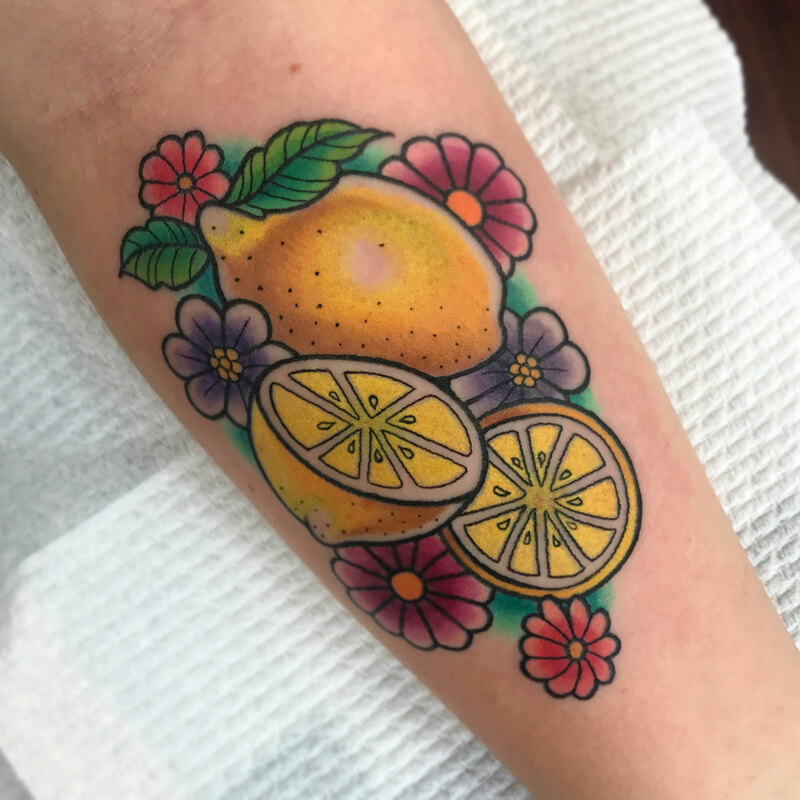 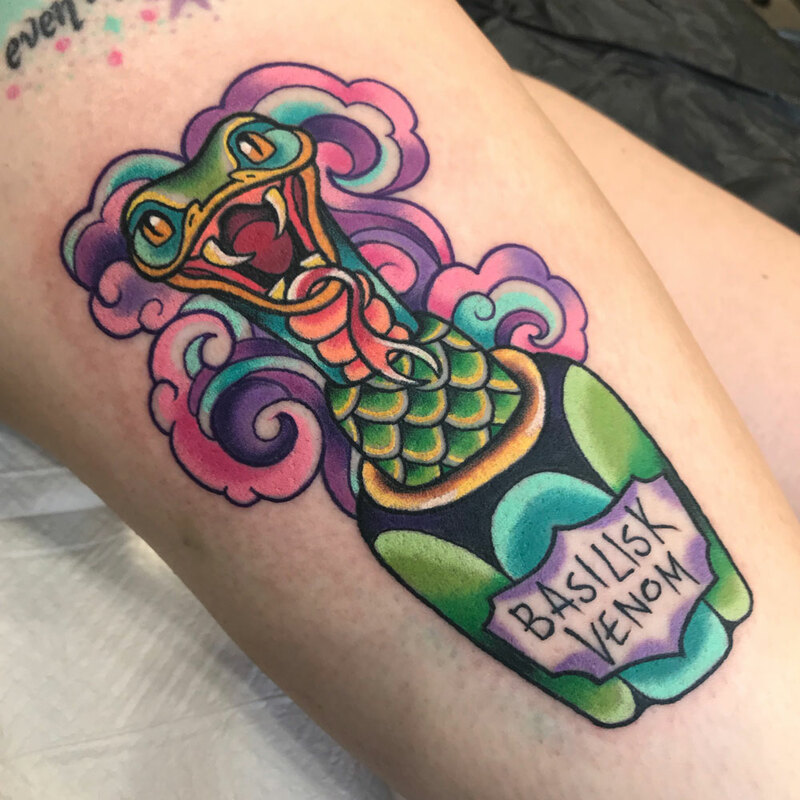 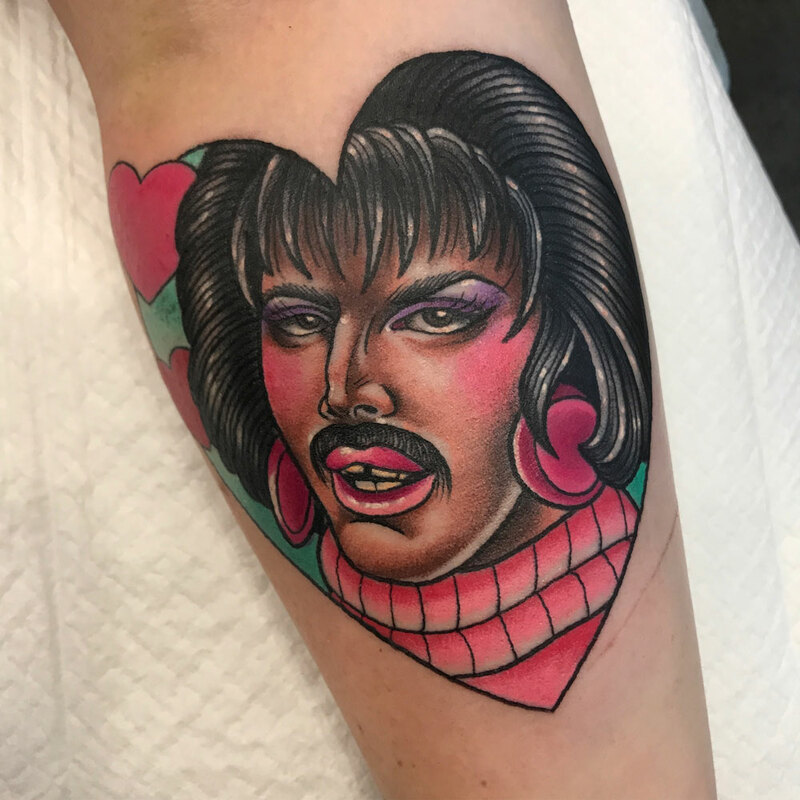 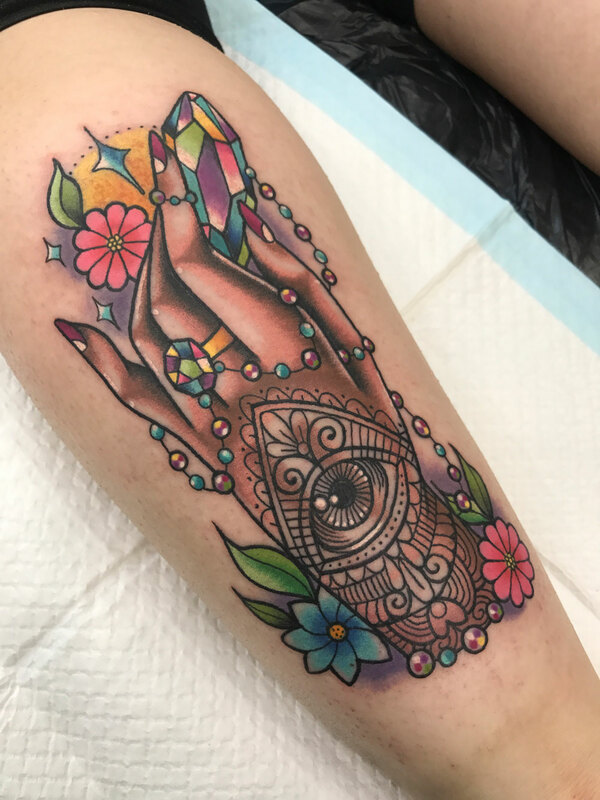 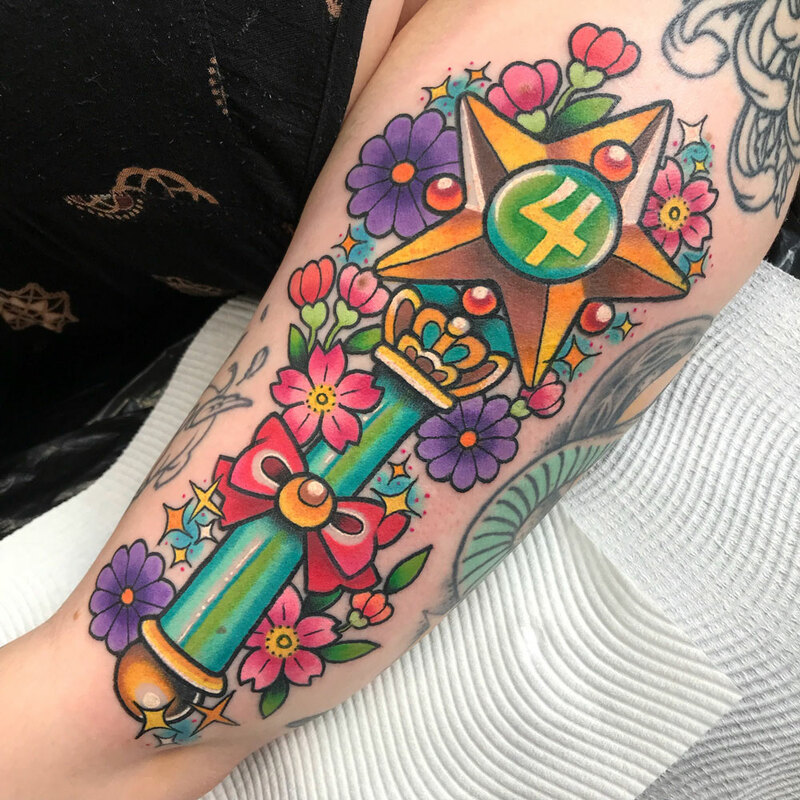 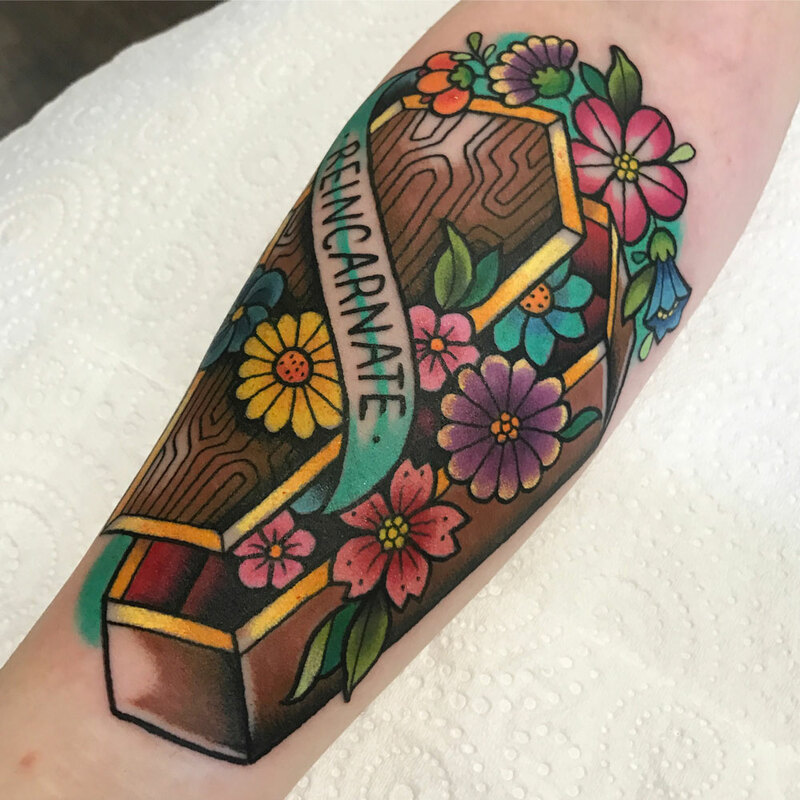 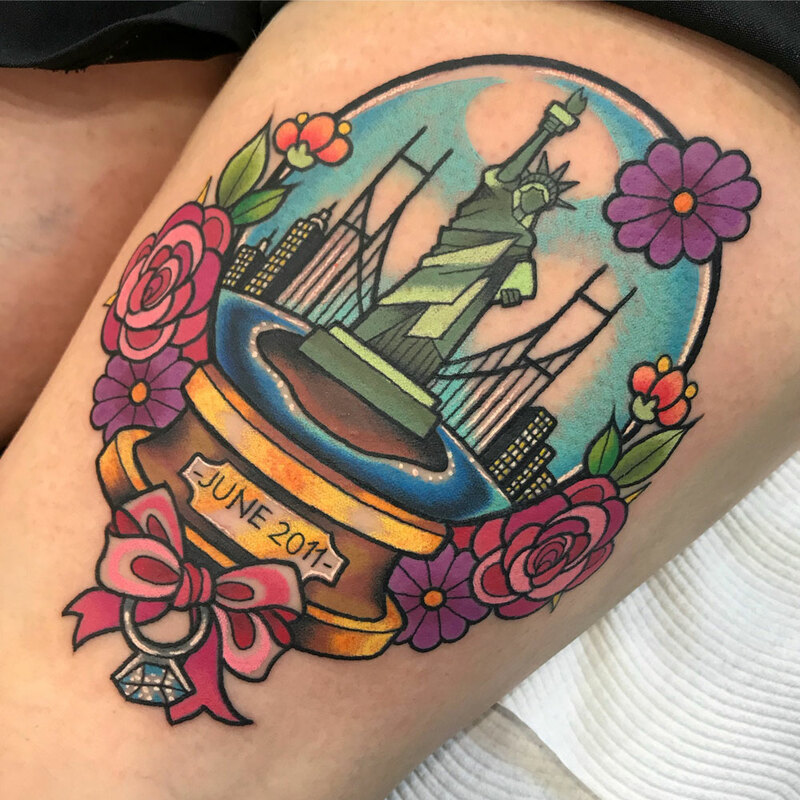 Since then, she has made the move to Sydney and broadened her scope of influences by working in some of this city’s more notable tattoo shops before making the move to our renowned team of artists at Lighthouse Tattoo. 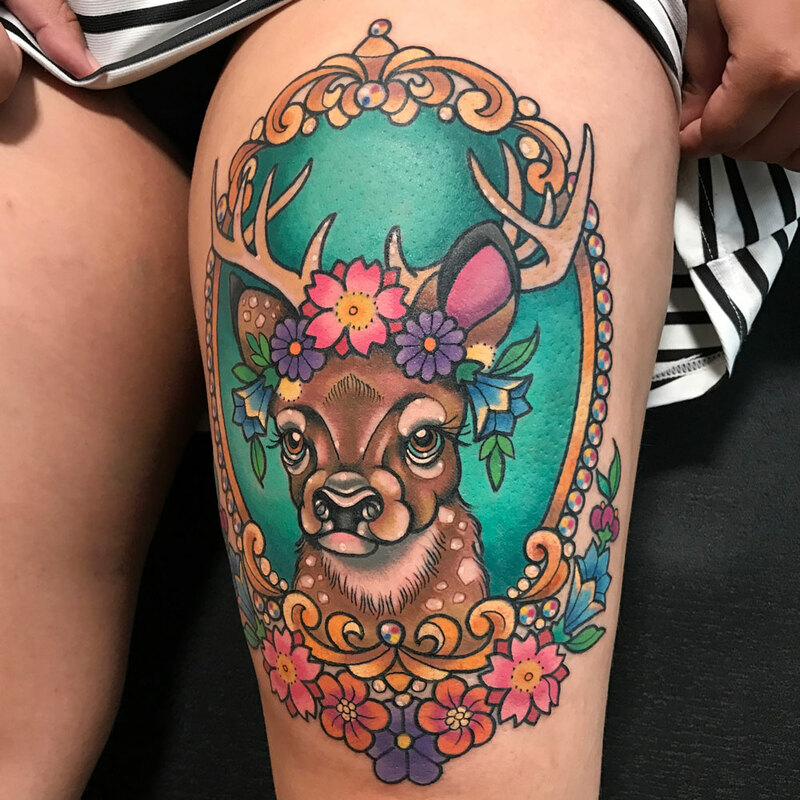 Bordering on traditional and neo-traditional, Sarah describes her work as “girly traditional”. 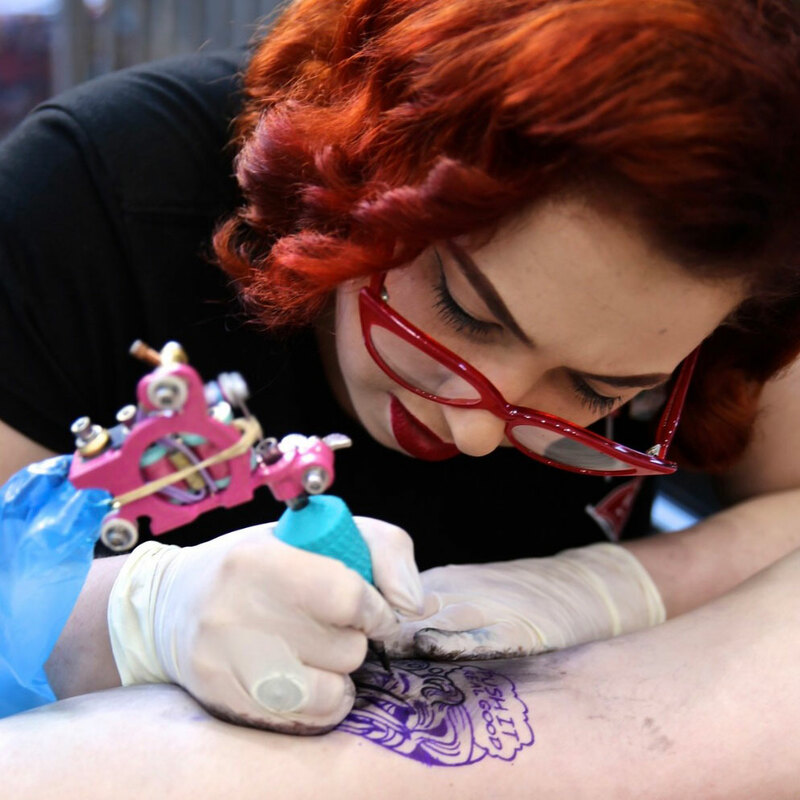 This signature style is characterised by bold line work, solid colour, and very readable imagery. 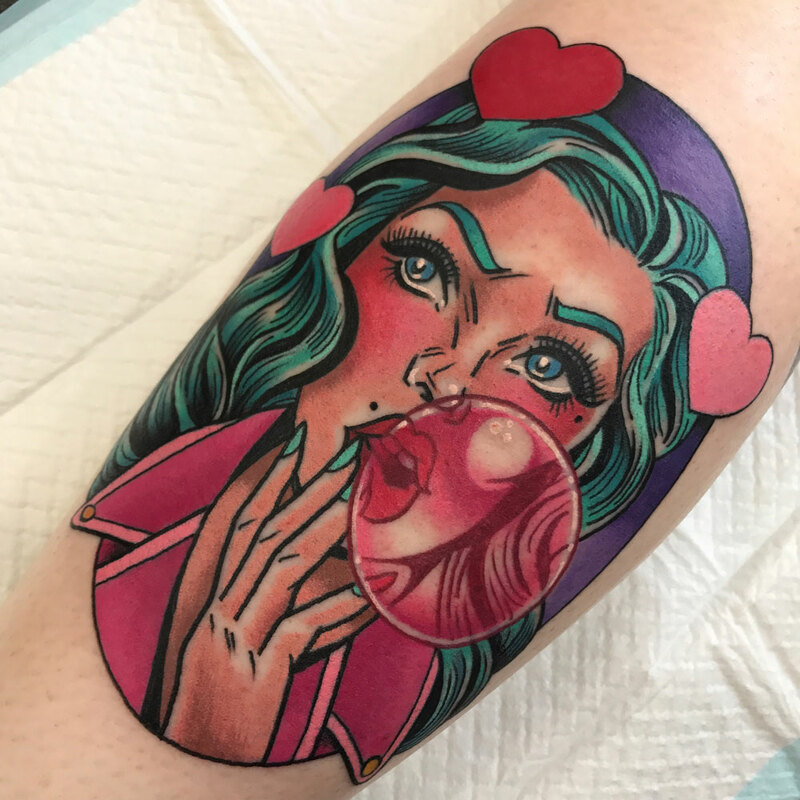 The subject matter usually revolves around popular culture, pop art iconography, vintage, retro, and kitsch.